Of all the reasons to become a member of Cape Town’s ultra-luxe co-working space Cartel House, this one’s the yummiest. Fridays are for free flapjacks with all the trimmings. But be warned, this one’s for Cartel House members only. Deliciously decadent flapjacks! 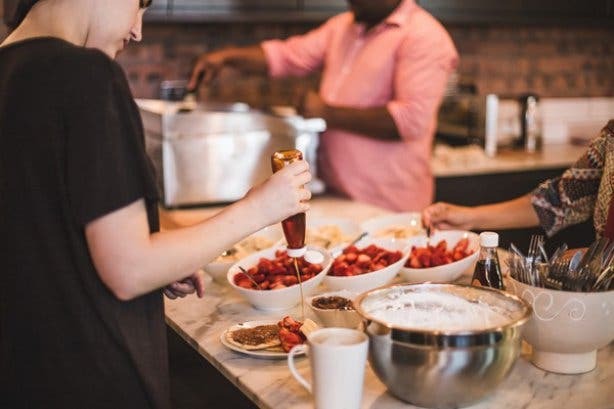 Every Friday Cartel House serves up fresh batches of flapjacks at the kitchen behind its third-floor coffee bar for one hour, from 9am to 10am. Cartel House members collect plates (there’s a bit of a queue, naturally, because: flapjacks) and dish up their flapjacks hot off the cooker. Then comes the toppings – did we mention it’s with all the trimmings? 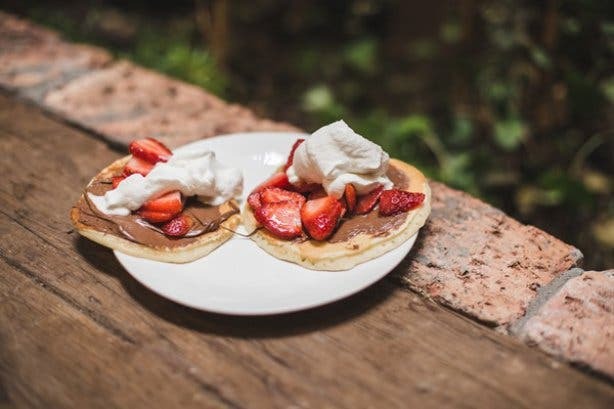 Your choices are Nutella, sliced fresh strawberries, banana, whipped cream and a drizzle of golden syrup. Or, you know, copious amounts of all of them. OK, so Flapjack Fridays are for Cartel house members only. As mentioned, Cartel House is a luxury co-working space centrally located in Loop Street, Cape Town. Think of it as a “five-star” space, but for business. It’s the flagship location of shared office space providers, Inner City | Ideas Cartel. So, of course Cartel House offers a full suite of business services, from co-working hot desks to private and corporate offices. 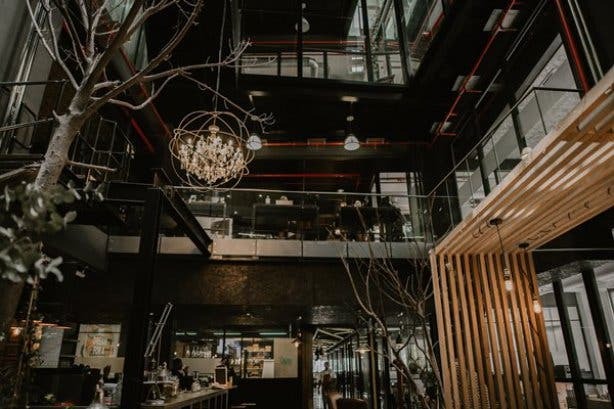 But it also boasts an in-house gym, barber, tailor, rooftop function venue, incredible communal spaces, coffee bar that also serves gourmet breakfast and lunch straight to your desk, and you can book everything you need via their concierge app. This incredible business-meets-leisure lifestyle means Cartel House attracts some of the most creative minds, entrepreneurs and startups in the city (added bonus: you’re surrounded by experts in their field). And, of course, you know, free flapjacks every Friday. Tip: You can get a day pass to try out the facilities at Cartel House before you buy. But note that you have to purchase a co-working membership (comes with desk, internet, boardroom access etc.) 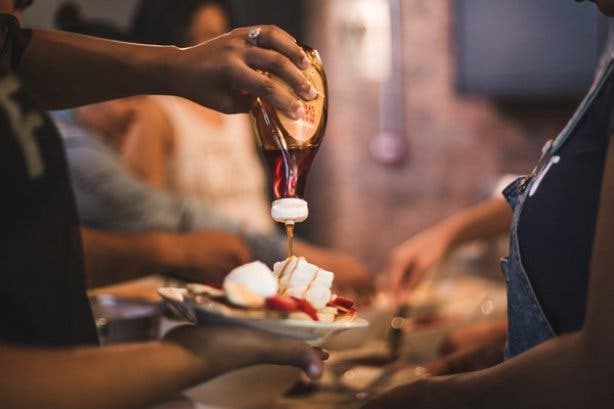 at R3000 per month to get access to those sweet, sweet pancakes. And then, get full access to all the services (including gym and partner discounts), add an extra R1000 for full Cartel House membership at R4000pm. Want a Cartel House day pass? Get it for less on Mondays with a complimentary gym session. Or if you prefer Wednesdays, get a day pass for less as a free coffee.